Deception Point, though published after Angels & Demons, is in genre with Digital Fortress i.e., it’s a “techno-thriller”. Amongst other similarities, like Susan Fletcher of “Digital Fortress”, here we have story of a woman Rachel Sexton, caught amongst a dangerous chain of events unknowingly and finally finding out the horrible truth behind the entire scenario. On this journey of hers, she also meets a few hi-fi technological inventions in field of space research and a man named Michael Tolland to romance with. Rachel, estranged daughter of Senator Sexton, works as an intelligence analyst for the National Reconnaissance Office, USA. Her father is standing up as a potential candidate for the upcoming presidential elections and to her great surprise Rachel is asked by the current president Zachary Henry to go to the Arctic as a part of a team of experts. On reaching Arctic, she is informed that NASA has made a great discovery; its new Polar Orbiting Density Scanner had found a spot with very high density than the surroundings. This scanning equipment is part of the Earth Observation System (EOS), a collection of satellites monitoring the globe, a very costly and high revenue consuming project. On digging for this dense spot, NASA has discovered a meteorite, and not only that, the meteorite consists insect fossils of species similar to that found on earth; meaning life exists in universe somewhere other than the Earth, too. This find is like a lifeline to NASA who has reported many failures recently and is facing severe questions on its budget, especially from senator Sexton who has made it one of the agendas of his campaign to divert NASA’s funds to public schools. The current president, hence decides to send a group of four leading scientists to evaluate and authenticate this discovery before making it public. The group comprises: Michael Tolland, a famous oceanographer and TV personality; Corky Marlinson, an intelligent but moody astrophysicist; Norah Mangor, a prickly glaciologist and Wailee Ming, a palaeontologist. The area of the discovery is under control of the Delta Force team reporting to a unknown commander. During their site round, Ming observes signs of unusual activities in the meteorite pit and decides to take samples, but instead falls in the pit and drowns. Michael, Corky and Rachel also observes this irregularity and Mangor confirms their observation that sea water is present in the pit which ideally should be a closed area with only fresh water. When they go to scan the ice, they find Ming’s body and a column of frozen sea ice beneath the meteorite. This implies that the meteorite is fake and the president and the NASA is going to announce the false discovery to win over the public. As soon as they discover this, the Delta Force attacks them and a chase for life begins. Mangor dies, but Rachel, Michael and Corky are picked up by the Navy submarine, though Delta Force believe that they are dead. They receive help from Rachel’s boss William Pickering, who arranges to lift them up from the submarine with a chopper and they are able to make it to Michael’s ship from where they intend to make the news public. But the Delta Force arrives here too and Rachel, Michael and Corky are foced to fight in self-defence. And it is here that they also meet the master-mind behind the entire meteorite episode. Trapped, Rachel takes a chance, the only way open to her, and sends the information to her father believing that he would make this information public. But what she doesn’t know is that Senator Stexton has a tie-up with Space Frontier Foundation, a body of private corporations wanting the share of profit off of space applications. What would happen now? Who has constructed the entire meteorite drama and why? Would Rachel and Michael survive against such power as he possesses? What use would Senator Stexton make of the information sent to her? The plot is hi-fi and the first phase of the sory is good, but it loses the tempo on the way and completely falls apart at the end. 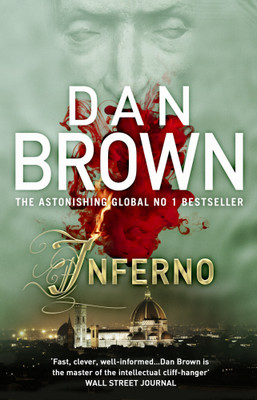 This is probably the least logical book by Dan Brown, yes, even considering that the basis of his bestselling books like The Da Vinci Code is entirely mythical, those make sense and let you follow a logical path through the story. Deception Point fails in convincing the reader about the “why” part of all the events as the main villain doesn’t appear to account for or relate to any motive that’s acceptable or sensible. The entire story loses its ground there and the reader feels lost. “Deception Point” is a good read, if you like stories with scientifically advanced aircrafts, super equipped Delta Force teams, latest weapons, thrilling chases between murderers and victims, presidential election politics spiced up with a little romance and could do with all these to compensate for lack of reason and a weaker storyline.